Since last December, there's been a rumour Erdrick from Square Enix's long-running and insanely popular Dragon Quest series would be added as a DLC fighter to Super Smash Bros. Ultimate. This character is depicted as a recurring legendary hero who wields a sword and is skilled with multiple weapons. This rumour became a little bit more believable when a "reliable dataminer" supposedly revealed the codenames for the upcoming DLC Season Pass fighters. 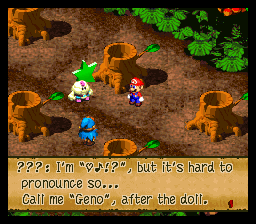 One of these characters went by the name Brave - an apparent reference to a Dragon Quest hero. In Japan, this class is called Yuusha, which directly translates to 'brave' in English. Last week, these same codenames were then removed from the game. If you weren't already aware, Kirby is Masahiro Sakurai's creation. In the latest game, Kirby is also the only character who survives the initial attack in the World of Light campaign. It essentially makes him the star of the series. As a result, it's now believed the above photos are yet another hint a Dragon Quest character will be added to Super Smash Bros. Ultimate in the near future. Is this some sort of tease, or is it just a coincidence? If you look at the rest of Shinya's Instagram, his entire page is filled with photos of Kirby. Considering he's been one of the creative forces behind the Kirby series over the years, it's not exactly a surprise he's paying respects to the pink puffball on social media. Tell us what you think in the comments below. It's about slime! You guys better prepare to ooze, cause I'm gonna slurp up the competition! Still, more Square-Enix representation nonetheless, and this time we might even get to see Akira Toriyama artwork of Smash characters. What a time to be alive, indeed! I'm not a bad slime you know! Erdrick was be a really good adition. But at same time, I have doubt if other swordsman will be welcome. Shinya Kumazaki directs all the mainline Kirby games since Kirby Super Star Ultra. Possibly just putting something he admires next to the character he has been working with for the last 10 years. I don’t know how Cloud, got in before a Dragon Quest character. God, I know it's coming but I really, really hope nothing having anything to do with Dragon Quest ends up in Smash Bros. Honestly that'd probably be enough to dissuade me from getting the season pass because I can see zero scenario in which I would ever use someone from it. Yeah, the series is historically important, that doesn't mean it's good. It’s another purple yellow chair but this time it further confirms they do stuff like deliberately. If this was hint to something real it would be probably be breaking NDA. 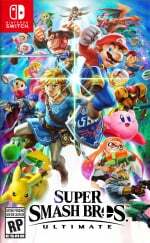 @avocadopear I also don't think Kumazaki worked on SSBU besides in a consulting capacity because he directs one of the character's games. HAL doesn't make Smash anymore. I believe it. It all makes perfect sense. "but let’s not repeat the Nintendo rumor cycle..."
@Lizuka You don't like Dragon Quest, Metroid Prime, Mario Maker, Etrian Odyssey, Dr Mario, etc. Do you like any games at all? @AlexSora89 If you think it's the end, then you haven't seen the Secret movie yet And let me tell you, it's far more confusing than the secret movies at the end of KH and KH2. Now we just need to figure out who Codename "Heart" is. If Joker is codenamed Jack, and Eldrick is going to be Brave. Then who could Heart be? It might be a bit optimistic to expect 2 Square Enix characters, but I am hoping it's Sora. @Mrtoad While Dragon Quest is historically important for bringing RPGs to the gaming scene, Final Fantasy VII was the game that put JRPGs on the map & Cloud Strife is a bigger icon than any other FF or Dragon Quest protagonist. @OmegaYato I wouldn't say FF7 put JRPG's on the map. But it was what helped them out in the western market atleast. @FlashBoomerang tbh he's only the fourth sword and shield user to be added if they give him the full traditional gear and that's only if you truly consider all the Links as different characters considering the similarity of their moves and skill sets. Plus if they keep the DQ heroes traditional spellcasting abilities he would be more of an hybrid of Robin and Link at the worst eh isn't a bad thing to be said(I suspect mix of fire and lightning spells with maybe self buffs ones of they go all the way). Plus, knowing this is the series with the "Zoom" fast travel spell he likely has his recovery move right there as a magic spell instead of a fancy sword move. @patbacknitro18 If not FF7, then what did? @OmegaYato and even then Japan nonetheless remain a big market for Smash. Not everything has to have world appeal of a character is so popular he might even perhaps sell consoles in his home country just by being "there". Also though one might argue "things were different back then" we'd never have had Fire Emblem characters in the first place if all they cared for was characters who were "recognizable" worldwide considering the series wasn't even out in the west when Roy and Marth first joined. Never played anything in the Dragon Quest series, but I absolutely welcome content from that IP into Smash, seeing as it has deep and long-running ties to Nintendo hardware. And I’m sure this inclusion will only serve to make me want to try out past and future Dragon Quest games, which I fortunately can find on the Nintendo hardware I own. Makes perfect sense. @Mrtoad Because the Final Fantasy series has both a longer history on Nintendo consoles and put JRPGs on the map. Remember, Cloud is a representative of the Final Fantasy series AS A WHOLE, not just FFVII; he's undoubtedly the most iconic character of the series and probably the entirety of Square-Enix as well. Dragon Quest is pretty much a given at this point, but I'm going to laugh if it turns out to be a character from Bravely Default. And I think SLIME is just as possible as Erdrick, especially since the datamining apparently revealed "Brave" to be a short character with sliding movement; he could work like Piranha Plant and take the form of several different slimes for his attacks, transforming into a King Slime for his Final Smash. Or, of course, it's a completely different character from another series. Just because I'm not much for Dragon Quest doesn't mean that I can't deny how huge it was in Japan and has some fans here. But hey, we don't even know if Erdrick is in (though, dang man, we've got a lotta leaks and now teases saying it). @OmegaYato all those legendary snes RPGs before FFVII? @patbacknitro18 Who is heart, you say? Well, most of us know him by another name, but his real name is actually ♥♪!? I'm fine with another Square Enix character but I'd much rather have Sora or Crono. And can we please have more then 2 music tracks this time? I am not so sure that we will get another sword fighter after how people were very vocal about how they disliked this in Smash 3DS/Wii U. Granted, I also didn't liked that approach, but I do like Corrin. But back to the second DLC character speculation, I think this is just a person showing a shield from a franchise he likes. I don't think Nintendo would allow him to reveal a DLC character, as that must be an NDA thing most probably. This is either an offhand confirmation or a very elaborate troll. Either way, I find this amusing. ...I blame the late hour here. If we get another sword fighter it shpuld either be someone from Xenoblade 2, or Chrono. @duffmmann people just want the spikey haired keyblade warrior, I like the idea of him better than goku or someone. @Kainbrightside Sure, he's a better choice than Goku, no argument here, still there are plenty of better choices than Goku that I'd still hate to see in Smash. I'd consider Master Chief a better choice than Goku for example, but just like Sora or any other KH fighter, I would hate to see him as a fighter in Smash as well. A Dragon Quest character may or may not appear as DLC, but this picture has nothing to do with it imo. @duffmmann yeah but Master Chief was never on a Nintendo platform, I don't like Minecraft but atleast Steve has been on multiple Nintendo consoles before. As I hate that cloud is in smash and I'm not keen on the fact Joker is coming this is just meh... Want Banjo Kazooie hell even crash would be cool! @Kainbrightside I'm not complaining about Steve. Steve isn't my first Microsoft choice, but overall I wouldn't oppose his addition to the game. I'm talking Sora, I find the likes of Sora to not sit well with me for a Smash fighter because Sora's entire series is a crossover deal with Disney. Dragon Quest debuted on Nintendo before Final Fantasy and continued to come out on Nintendo platforms during Final Fantasy's Sony gap. If I'm not mistaken every DQ game that wasn't on a Nintendo originally was later ported to one ( VII and VIII come to mind ). As for Cloud being the go-to rep for FF, I don't know about that so much. Cecil seems to me to be the more obvious rep of the series. Out of all of Square Enix's characters, Erdrick easily makes the most sense for Smash. Dragon Quest is a massive franchise in Japan, and representing it in Smash would do the game wonders in its homeland, helping solidify the game's already-unprecedented Japanese momentum. Likewise, Dragon Quest has always had very strong ties to Nintendo--it began on the NES, and every main entry since is playable on Nintendo consoles. Finally, Dragon Quest is an active, relevant and popular series, unlike some other Square properties wanted in Smash like Mario RPG or Chrono. Especially with the upcoming release of DQXI S, which will be massive in Japan and maybe even in the West if Nintendo markets it right, this just makes too much sense not to happen. The last thing Smash needs is another generic sword-wielding fighter, unless they make a fighter out of slimy boy. Just announce the 5 fighters at once and let people decide whether the fighters pass or individual picks are the best option for each one. Doesn't Yuusha mean "Hero", though? @Lizuka Really...? How selfish of you. Wishing for a popular IP to not be represented in Smash at all because of your own irrational vendetta against the franchise is petty. They need Nate from Yo Kai Watch and a Marvel character in there. How good would Iron Man or Hulk be for example? I only wish that whatever they decide to add from Square Enix has more content than Final Fantasy had. Seriously, everyone comments how only two music tracks is embarrassing, but have you checked the FF section in the spirits collection? You can't, cause there is nothing aside Cloud 1 and 2. If this is true, it would be a HUGE bummer for people who live outside of Asia and/or Japan. We're never getting Sora. And even if we did, he would not be a Square Enix rep because his righte are 100% owned by Disney. The fact that Disney owns Sora wholly is precisely why we won't see him in Smash. But the mistranslation to Brave[noun] seems to be common enough in Japan, that seeing Brave[noun] in a Japanese context it's usually always that same mistranslation of Hero. Cool but WHERE THE resident evil revelations IS WALUIGI!!??!??!??!!?!!??!!?!! Awesome, perfect advertising for DQXI coming out on the Switch too. @ReaderRagfihs Not liking anything (and that extends beyond video games) is kind of his thing. @Roam85 None of those those games reach the sales numbers or success that FFVII did. No one knew what Earthbound was until Smash came out. Smash made a lot of franchises known when they were long forgotten, Cloud became an icon because of his game that once again, put JRPGs on the map. @OmegaYato No one knew what Earthbound was till smash came out? That’s just not true. People were whining for Earthbound 64 a lot earlier than they ever knew what Smash Brothers was. And Chrono Trigger was still quite a high seller. And the only reason final fantasy VII sold the amount it did was because people knew 3/6 and got hyped for the next one. @duffmmann what’s the problem with being in a Disney crossover game? I don't care what all the naysayers say about Sora not being in smash. Until the very last fighter is revealed I will hold onto my hope that Square will do it. Can you imagine the hype if during a Nintendo direct tetsuya nomura announces that kh a story so far and kh3 will be coming to switch? And then during the final few seconds they show Sora opening a letter in a bottle and it's a smash invitation. I would order a Switch IMMEDIATELY. The hype would be insane and would make so much money for both Nintendo and Square. @rxchrisg Nothing inherently. I don't have a problem with the Kingdom Hearts games on their own. But due to the very nature of those games, Mickey Mouse, Donald Duck, Goofy, etc. etc. are a part of the DNA of those games. Meaning that even though Sora isn't a Disney character he still has a Disney stigma forever tied to him. Again, not a big deal. It's when you try to migrate anything like that to a game like Smash where I start to have problems. The whole deal of the fighters in Smash is that their origin of being any part of the zeitgeist is in Video Games and only video games. Sora and the like forever have that extra baggage of also being part of the company known first and foremost for their films from his very inception. It just doesn't sit well with me for what Smash is. Here's another way to look at it, imagine Kingdom Hearts had all the same original Square characters, but the crossover wasn't with Disney but instead with Dragon Ball. Suddenly if you're talking about adding Sora, surely Goku should be fair game in that situation as well, even though I've always hated the idea of Goku as a fighter when his origins are in Manga and anime. Or how about if we get real ridiculous here, what if instead of crossing over with Disney, Square crossed over with the friggin McDonald's mascots, so now instead of Mickey and Goofy, you have the likes of Ronald McDonald or the Hamburgler. In this situation, Sora is still Sora, and Kingdom Hearts is overall the same ideas, but now the big company its tied to isn't a film company but rather a fast food restaurant. I absolutely couldn't stomach the idea of the same Sora being a fighter in Smash under this situation, for if he were fair game, then Mayor McCheese should also be fair game. I'd be stoked to have the original blue-haired RPG protagonist in Smash Bros! If any series ever deserved the representation, it's Dragon Quest, and this would scratch the Toriyama itch for that certain crowd, who keeps requesting a certain spiky-haired shōnen manga protagonist, or a certain spiky-haired Dream Team dreamboat. Nintendo has plenty of their own characters to choose from still, but sure, let's add more nobodies, and another sword user on top of that. @Audigore0733 same source that first said Erdrick was coming also states Ryu from Ninja Gaiden, Steve from Minecraft, and Doomguy from Doom are all the remaining DLC. If that is the list, I like it, I like that they're all third party guests, but Steve definitely sits the least well with me. BUT, I get it. Minecraft is a huge game and has a major footprint on gaming in general. In a game with Mario, Sonic, Pac Man, Mega Man, Mr. Game & Watch, etc. I can see why and how Steve fits in. All the same, I soooo much would prefer Banjo & Kazooie as a fighter, but I'm starting to warm up to the idea of Microsoft's fighter instead being Steve, I don't love it, but I can understand it. Wait, hang on, did I? I only lurk the site when I access it via mobile, and generally don't turn my PC on that often lately. Will be back here in a jiffy, gimme time to respond to all other comments first. That makes you the second one. Lemme go check out the third comment (in my own reading order, that is). ... wait, so I checked my first comment and... people are getting riled up over the sentence "the journey ends"? It could mean everything. I tried to be vague about what my way of saying it entailed - only that Sora's quest ended. It is definitely a "hard to accept" ending as Nomura described it to be with those same words, but not exactly in the way you'd expect from such an ending. @duffmmann I like Ryu from Ninja gaiden, maybe the doom guy but I highly doubt it, And steve I don't think would be a pick Nintendo would make. But I think Erdrick is a fine character.